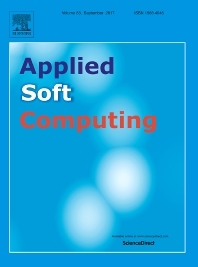 We are very pleased to announce the recent opening of the Virtual Special Issue New Paradigms, Trends and Applications of Machine Learning and Soft Computing in Cyber-Physical Systems in Applied Soft Computing (I.F=3.541, Q1) . Interested authors are invited to submit their original works focusing on how Cyber-Physical Systems can benefit from its synergy with Soft Computing techniques and Machine Learning models, with an emphasis on evidences of the practicability of the reported findings. For further information, please, refer to the website of the Special Issue. The guest editors of this special issue are our JRL member Javier Del Ser, and our JRL Collaborators Prof. Dr. Massimo Vecchio and Prof. Dr. Mehdi Bennis.